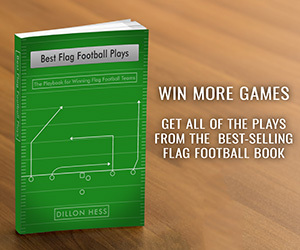 The Best Flag Football Plays book is a great starting point to revolutionize your flag football strategy. Learning these concepts, however, is only the starting point. 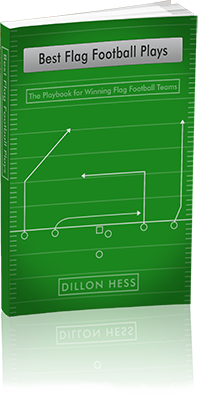 By pulling inspiration from the plays found on this site and in the book, you can begin to build your own playbook and overall football strategy. The best way to create your own football playbook is by using the best football playbook maker you can find. Playbook Hut is an online system for customizing and managing your own football plays and playbooks. Using this system allows you to save time drawing plays and formatting difficult designs. Instead of using pen and paper or trying to manipulate graphics in Word, PowerPoint, or another program that is not built for football plays, Playbook Hut allows you to instantly and easily create professional quality football plays that you can immediately export and share with your team. Get started creating plays with the best football playbook designer at playbookhut.com.